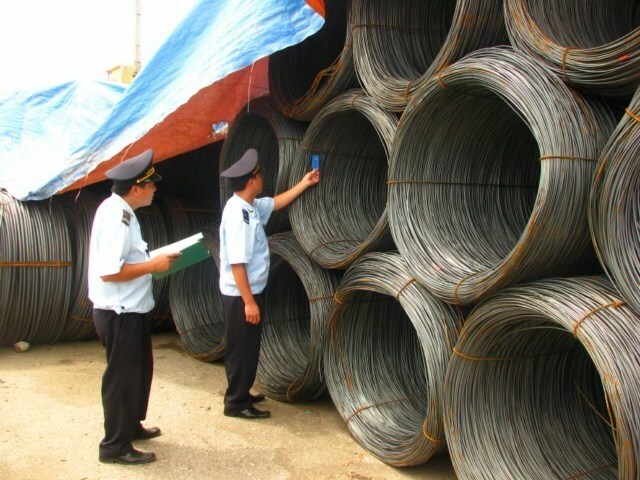 Hanoi (VNA) - The Vietnam Steel Association (VSA) is calling on the Government to maintain a series of quality and management controls in the steel industry since trade fraud in steel imports is still high. The Ministry of Industry and Trade (MoIT) had planned to eliminate administrative procedures in 17 fields this year, including the steel sector, in order to ease conditions for enterprises. In December 2015, the Government issued a circular defining regulations on the management of domestically produced and imported steel quality. The circular also aimed to prevent steel exporters taking advantage of some zero tariff levels thereby affecting local producers. Instances of trade fraud included importing rolled steel containing 0.0008 per cent boron (Bo) element labelled as a metal that enjoys preferential zero per cent tax. The association said the management on imported steel quality under the circular has helped stabilise the domestic market. VSA also said the circular contributed to tightening imports of steel products which Vietnam could produce and loosening import restrictions on those which the country needs. VSA’s Chairman Ho Nghia Dung said that the Government should maintain the circular to support the local steel sector. Dung said the country’s total steel imports last year reached 23 million tonnes, ranking it fifth in terms of import turnover. The big steel import amount and value have also had a negative effect on the import-export balance, Dung noted. In addition, construction steel is often imported from China as alloy steel to enjoy zero tax, creating unequal competition between local producers and importers, he said. Tran Ngoc Chu, Hoa Sen Group’s General Director, commented that safeguard measures have been imposed on Chinese steel by many countries. On the other hand, he also said that Vietnamese steel exported to world markets has also been under suspicion of shunning anti-dumping duties. As a result, local steel producers have been are under pressure from lawsuits on anti-dumping duties and other trade defense measures from Thailand, Indonesia, Malaysia, Australia and the US, Chu said.